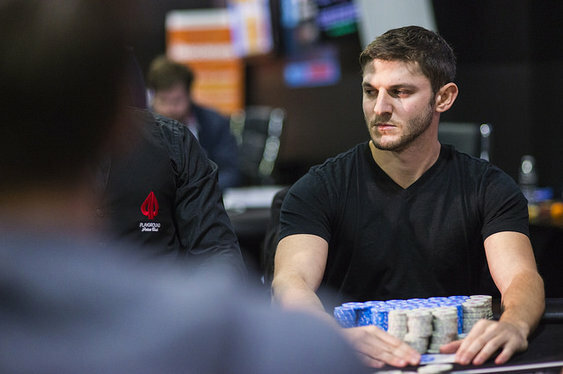 A quick day of action inside Montreal's Playground Poker Club saw Jonathan Jaffe retain his lead going into the finale of this year's Canadian WPT event. Day 4 started with the elimination of Edward Arnold in a three-way pot (Kevin MacPhee was able to triple up) and ended when Phillip Hui was ousted in seventh place courtesy of Ratharam Sivagnanam. After moving all-in with As Qh, Hui was pleased to see a Qc 2c 2d board roll out to give him the lead over Sivagnanam's Ad Kc. However, as the Ac and 8c fell on the turn and river, the original power balance was restored and Sivagnanam was pushed the pot while Hui was sent to the rail to collect his CAD$74,800 consolation prize. With the final elimination of the day confirmed, the six remaining players in this year's partypoker.net WPT Montreal event were left to bag and tag their chips ahead of today's finale. Leading the way with 7.5 million chips will be Jaffe, but when the action resumes he'll have his work cut out as the likes of Mukul Pahuja and Kevin MacPhee each have more than 25bbs and a shot at the CAD$463,432 top prize.